What does a real network look like? If we know then we can see if the networks we seek to design and grow are real. Here is how Valdis Krebs sees them and he is for me the Gold Standard. I think when the history books are written that one of the Galileo’s of our time – a person who used scientific tools to see a new reality that changes our paradigm – will be Valdis Krebs. While commentators such as myself speculate, Valdis proves the theory with evidence. Here Valdis uses a real community – (OCL) – on the outside a loose group of “lurkers”. In the Green group – groups of loosely connected sub groups – In the Centre – the Core – a densely connected group that acts like a Sun. It has both mass that acts as a social gravity attracting inwards. It also acts as the sun in that this group also shines energy out that reaches to the far edges of the outer group. Here is Valdis’ view of the core or as I call it the “Sun”. Here is another view of what the “Sun” can do – it is an adoption force. Once the Sun is powerful enough, it can shift the paradigm. This may be how people get a disease like flu, adopt a new fashion. Or adopt social media and then a new view of how the world really works – that we are not part of a machine but part of an interconnected universe! So the implications are clear for me anyway. Adopting Social Media has nothing to do with the tools. After all the tools are cheap and easy to use. It is all about rewiring the habits and the mindset of people. If you wish to have your organization adopt this new mindset and hence also its tool kit of social media. You are going to have to create a “Sun” – a densely connected but small group that are committed to the bigger idea that is the energy behind the Sun. The numbers required for the core are modest. A core of 8 will get you an inner ring of 4,000. A core of 34 will get you an inner ring of 1,300,000. 89 will get you 62,000,000. The leverage that is possible is incredible when compared to the traditional organization. This is where the costs fall away and the impact goes up. I will talk more about this and offer you a number of real examples. But here is the key insight. The Big idea cannot be about the internal needs of the organization. It can’t be about your sales, your profits etc. It cannot be about YOU. For the Sun to access the full energy of people and to spread out to the edge, it must be about US. It must be about the larger group that includes everyone who will be in the community. Many say that they hope that the new world will have no hierarchy. This is just as much a fantasy as the positional hierarchies in traditional organizations are. A hope based on nothing. Many say that new systems will be “Open” meaning that all can access them. This too is a fantasy. In nature all systems have boundaries that are defended vigorously. Many profess that they hope we will find algorithms to filter the best stuff from the web but miss the fact that unless we trust the source, content is just noise. No filter works like human filters and quite small groups can cover a lot of ground. You won’t miss much with a group of 33 or max at 144. For the real filter is in our own heads and can only be pierced by a trusted source. Here is a post of mine on FF that explains this. What is value? Usually it is something that is scarce. What is scarce today? Certainly not content which is why all the attempts to make content pay are doomed. Content has never been more plentiful. In fact we are approaching the point where content is all but infinite. The Value point then becomes finding content that means some thing to each of us. So Search is a Holy Grail here. And it is very valuable. But can we rely only on algorithms? I do not think so. This week two people that I respect and trust a lot Craig Newmark and Jeremiah Owyang have put their own stakes in the ground saying that ironically it will be a screen of named people in our social orbit that will be the final layer of screening for meaning. That our impersonal transactional world will return to a personal world where reputation is key. There is enough convergence to call it now I think. What you are about to see is how the world will be organized in the future. It’s official now! This is the new Org Chart. The Inner Circle is your Trusted Space – moving out from this is a gradient of Trust and Intimacy – These rings have numeric boundaries. The Inner Circle is limited to 8. The next ring for you is 34. The outer ring is of course 144. If you look up to the diagram above the “Donut”, you will see the Fibonacci Curve. There you will see that these numbers are the boundaries of the curve – this is how nature organizes all complex systems. The Dunbar number is 144. (Not 150 by the way) We know that 8 is the ideal team size. We know that 34 is the ideal large team. To the left I have added the “Permaflower” – this is the organizing model for Permaculture. I think that this may be the model that we use to organize the Natural Organization. People use social networking tools to figure out who they can trust and rely on for decision making. By the end of this decade, power and influence will shift largely to those people with the best reputations and trust networks, from people with money and nominal power. That is, peer networks will confer legitimacy on people emerging from the grassroots. This shift is already happening, gradually creating a new power and influence equilibrium with new checks and balances. It will seem dramatic when its tipping point occurs, even though we’re living through it now. Here we see the idea of a gradient in the hierarchy more clearly. Inside the network are of course sub networks. In Permagardening, these are called Guilds. They are reinforcing groups of diverse species. Toby Hemenway is the source of these lovely garden images. Talking about guilds here is how Chris Allen has shown us how Guilds form in WOW. In this slide you can also see the leverage that the Fibonacci Sequence can give you. Imagine your 8 inside the Trusted Space. Imagine that you have 4 good friends in the next circle who have 4 friends who have 4 friends and then 4 more – that is 4,096 people. A group of 34 with 4 friends gets you 1.3 million. 144 gets you 429 million. A small group can have huge social leverage. Enough I think to do anything. Are corporations more like animals or more like cities? They want to be like cities, with ever increasing productivity as they grow and potentially unbounded lifespans. Unfortunately, West et al.’s research on 22,000 companies shows that as they increase in size from 100 to 1,000,000 employees, their net income and assets (and 23 other metrics) per person increase only at a 4/5 ratio. Like animals and cities they do grow more efficient with size, but unlike cities, their innovation cannot keep pace as their systems gradually decay, requiring ever more costly repair until a fluctuation sinks them. Like animals, companies are sublinear and doomed to die. 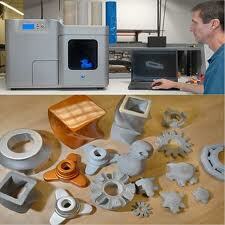 The issue is that using a machine model – is that friction builds as well as cost as the corporation scales. The costs rise with revenue. So in the mature part of the cycle, you cannot innovate – you can only manage the numbers/ratios. For example, 10 years ago, Shell set up Shell Renewables. Shell was going to become a leader in non oil energy. Makes sense right? The top people know about Peak Oil better than most and wanted to find a place in the next energy sector. What ruined this experiment was its success. Being a very large organization, Shell did new projects at scale. With two of the largest new Wind Farms online – the CFO and the CEO saw the trap – saw why they had to retreat back into OIL ONLY. Shell had to make the numbers even if by doing so meant that Shell could not position itself to be a leader in New Energy. Wind farms that do well have an ROI of about 8% they are a utility – like owning a bond. But the Oil business has embedded costs that are linked to the returns on OIL that are much higher than wind. So if Shell did a lot more of these mega wind projects, the ROI of Shell would be reduced and Shell would have an earnings problem. The more wind farms they installed, the more their earnings would drop but their costs could not. They were trapped! This dooms Shell and all mature companies. We saw that is Big Steel when smaller local mini mills ate into the lower ROI parts of the business until there was nothing left? We see this now with media. The costs of a press or a studio – are so great that all the majors can do is to defend their existing platform. The New York Times can only hide behind the paywall for a period of time. The studios can only hold off web distribution of video for so long. But their battle to keep the status quo is not stupid – they are stuck with the costs. It is the model of how we do business that is the problem. For in the mature phase, the CEO has to make the ratios and the costs are embedded. In the final phase all the CEO can do is to milk the system. For all true innovation HAS to start with a modest revenue line. So if you have a large enterprise with high revenues you have also high costs. So a web based news alternative CANNOT earn the revenue that you need to run the Times. So you cannot go there. But of course a new competitor – Huffington? Can and will and in the end will take enough revenue off your top line to kill you. So are corporations doomed? Well with a sample of 22,000 West makes a good case that the current model does doom you, if you are traditionally organized. So what then is the way out? West makes the case that Cities live much much much longer. The core of why is the core idea for corporations to study and apply. Cities are much more open as systems and networks. They are much closer to being alive than corporations that rely too much on command and control. As I write this I am thinking of how WordPress works. At the core of WordPress is a for profit organization – but also one of the tasks of Automattic is to ensure the health of an ecosystem that is the larger WordPress ecology in which thousands of independent developers who do not work for Automattic make a living. I think of Wikipedia. At the core of Wikipedia is a set of rules about how Wikpedia has to work and how people in Wikipedia have to behave. Surrounding this core is a cadre of “White Blood Cells” AKA editors – that ensure that this DNA is kept healthy. I see no way now that Wikipedia will not be here in 50 years. If you look at WordPress and Wikipedia you will see the key. In a network that really is a network – like WordPress and Wikipedia – the costs go up in a shallow linear curve while the outcomes rise exponentially. The margin grows so that any bump in revenue along the way – which is of course natural for nothing in Nature runs on any form of straight line – does not take down the organization. But in a traditional organization, the costs rise in direct concert with the revenue and outcomes. This means that once the business approaches maturity, the leadership have to force the numbers, meaning that in the mature phase, the only real focus are the numbers themselves. Not the underlying purpose of the business. The focus becomes defence and self referential. The organization is now doomed. Doomed to suffer a bump in the market or to a new competitor. Look at the case of RIM. Can RIM come back? This site has been a place where many of us have tried to see the future for business. We could all agree that more Command and Control would not help. We could all agree that more Social Media used to open up the organization would help. But what we are seeing now is that for an enterprise to thrive over time – it must become alive! Only a true network can enable this to take place. The few true networks that we can see now, give us a working model of the new enterprise. Stuart Baker and I are working on what this might be and in the fall we will be posting our ideas. Our proposition is this. In the 1800’s most business was small, local and unique. The great shift in the 20th century was to consolidate into the enterprise as we know it. This was how to create wealth then. All who stayed back in the small, local and unique died. The efficient machine had to be the model you used. Now we enter a new phase. For the limits of the efficient machine have been reached. The new winners will be those that can adopt the model of the real network. We all know about how to organize the machine. How to organize the network is all new and mainly unknown. That then is the challenge and the opportunity. Good luck to all of us. Joe mentioned this week that the use of Social Media still have not taken off in small business. But we also learned this week that the use of social media and texting is at the core of how the riots in the UK are being organized. The best rioter’s tool – The Blackberry which is encrypted. Since then, the BBMs regarding Duggan’s death and the ensuring riots have gone viral. The Guardian was shown one message by a recipient which read, “Everyone in Edmonton, Enfield, Wood Green, everyone in north London, link up at Enfield train station at 4pm.” It detailed what items to being–including hammers–for the demonstrations. The advantage users have with BBM is that the news continues to circulate, but is covert enough that it is difficult to trace. BBMs are encrypted and hacking this network would be incredibly difficult, so protestors are able to stay a step ahead of authorities. RIM UK has stated that it will help Scotland Yard in any way it can, so the BBM may only have so long to live as a tool for rioters. But most of them are of the young, mobile-minded, tech-savvy generation, and there are a variety of tools at their disposal. The Police and the community are learning also in real time how to help each other – by also using social media. Citizens are using Twitter and Facebook to help the police have better intelligence and the police are learning this week how best to respond and to monitor. The only chance that citizens and the police have to get ahead of this to to get ahead of it – they have to use the same tools better and faster. This is the reality of our world today – it is rushing to a network state. So if you don’t know how to use this well – you are at extreme risk. You just don’t know what is going on and the pace of your interaction with the world will be too slow. It does not matter how small you are – you will be too slow to know. Don’t you feel something big in the air? The Wirearchy amplified events in the Arab world this spring and many regimes have fallen. Do you think the rest of the rulers feel safer now or more vulnerable? In the last 2 weeks, the establishment in the UK has been rocked. Again the amplification and openness of the Wirearchy has prevented the old system from being able to contain the firestorm. It is also early days, but it is not just the Murdochs who have been shaken but the entire establishment. Do you think that this will blow over and all in the UK will go back to normal? In the US our political system is log-jammed at a time when it has to cope with all sorts of real problems – do you think that we will avoid a crisis here at home? Are you ready as a individual or a CEO to cope with what is unfolding? This global meltdown and systemic failure of our system is I think the real context for social media and its tools and your adoption of them. The Wirearchy is the only way to survive. The Hierarchy is the sure way to die. Many have thought that they could adjust slowly to the Wirearchy. It was great to see how they are slowly being adopted in the enterprise. It is now common knowledge that we have to be more human in our work and how our work must do something that offers real value to all not just to a few owners. Many know that we should go here. But maybe not just yet – so much risk in changing right? Bu now all the risk is in not being there. The system has tipped and total turbulence is here. Chaos is our new normal. Will the Euro continue and what will happen if there is a default? How will America get though its own financial and fiscal crisis? What will this mean to the election. What new weather event will affect us and the global system? Will the millions of underemployed, unemployed sit quiet? And in this context a new kind of competitor that has been forced into being by the evolutionary pressures of this time. An entirely new economy, based on the small tribal networks, will emerge very quickly out of the desperation of the people who have no alternative. They need no capital. They don’t need what you needed. They can get the best people. They can go from an idea on napkin to your doom in 5 years. All organizations who rely on concentration will be too slow to keep up as the pace of change accelerates. If you as a person cannot find your way through this and if you the CEO of a large organization cannot be agile enough, these waves will take you down. So it is now “Change or Die”. I am on the lookout for new models that kill old ones. Craigslist eviscerated the revenues of newspapers and made them vulnerable. I am waiting for a new model to do the same in health. But I am sure that AirBNB and its model will kill off much of the hotel sector. Whatever happens to Airbnb – the model will persist. That is enabling us to share assets – now where we live but maybe soon our cars – expensive tools etc. We see this in Co Working – maybe co manufacturing – Co – Food Processing? Wherever an exclusive high capital asset exists, a shared alternative will emerge. How much would a nice hotel room cost you in a really cool part of Manhattan? At least $350 a night. A grotty room maybe for $250. Can you get any hotel room in the Plateau (the most Bohemian part of Montreal)? The quick answer is no. But if you use AirBNB – you can get a really nice place for maybe $100 in Manhattan and $70 in Montreal. As with eBay you also get the advantage of a trust mediator. Here is the core idea – AirBNB and other sites like it – there are 3 that have just got major funding – are run along the lines of eBay. You have a flat or house or even a room in your place. You use the aggregating power of the mediator to position your place and to control the trust issues. You are a traveller. You are exposed to the content which is highly personal – with a number of trust issues dealt with by rating and how the money works. In essence good behaviour on both sides is good business. Both sides are rated. The barrier for travellers is to get over the idea that Hotels are it. Once you do, you may never go back and the hotels – as with newspapers and Craigslist cannot compete. For they have fixed costs like a newspaper that they cannot reduce. Who wins? Well you do. My wife intends to stay in Montreal with my daughter in the fall to help my daughter in law who will have new baby. We have found a 3 bedroom flat 100 yards away for $75 a night. More than ideal. The renter can now get a return on her place that was impossible before. Once again the Personal Brand will trump the corporate brand – for we can truly trust a person. The process of the Innovator’s Dilemma will now take place. This is truly a game changer for all involved. Who would ever have thought? Just as we are lost in Education 1.0 that assumes that we can educate by using an assembly line, so as we have made health and the body into a machine, we are more unhealthy than ever – and if you don’t believe me – think of the heart, cancer, diabestes, depression, stroke epidemics. Health will be as big a frontier as any sector. As with media, the establishment will fight back to the death too. Here is my spear post..
Once upon a time there were department stores that sold everything. They hardly exist anymore. Why? because we get a better deal from specialty stores. Once upon a time there were record albums where many songs were in one package. We don’t buy albums anymore. If we buy any music we buy songs. We used to rely on advertising. Increasingly we use our trusted personal networks to help us navigate the market. It used to take millions to make complex things but more and more we are seeing new tools that can do big things for very little cost. Today we have a department store model for healthcare. 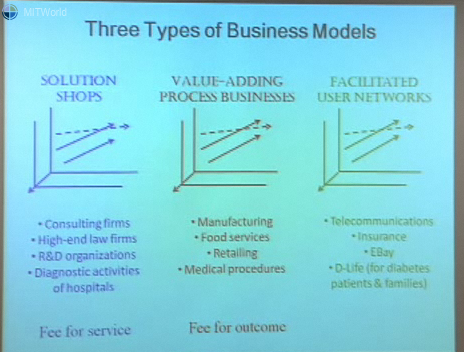 Today we use all the old models of business in healthcare. So what might a truly modern view of health care look like? This is where Clayton Christensen’s new vision for Healthcare makes so much sense to me. Here in one page is the guts of CC’s case. All of these models are combined today in the healthcare model and are rooted in the most expensive part of the system – the doctor’s office and the hospital. 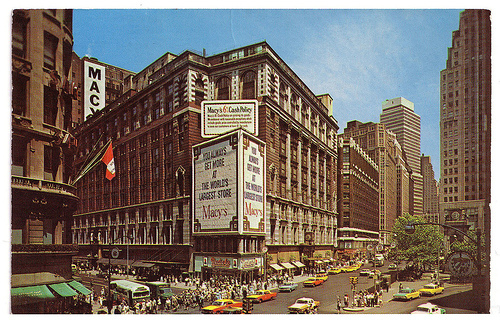 It’s all Macy’s in the 1950’s. It’s big and aggregated into one high overhead system that has massive organizational friction and so low quality. Clayton Christensen is advocating that we break this up as happened to the department stores. Then each part of the mix would get the best deal! Fee for Service – Here you pay a lot to get the best shot at finding out what the problem is when what is wrong is not clear. ”House” on steroids. The McKinsey model. Fee for Outcome – Specialized units that focus on doing one proceedure well – we see this already with hernia operations – you are much better going to a specialist clinic – lower overhead – better operational process – better outcomes. Membership as the Model – A social network aggregated around similar issues. Such as Type 2 Diabetes etc. Here prevention and living with a diease or the life changes needed to cure us will take place. None of these tasks can be done by a doctor as we currently organize health. Nor should they. They can best be done by us the pubic. For here the issue is how we live and of course getting off our addictions. CC offers the playbook here too. It is very unlikely that the system will reform itself to do this. Systems don’t do that. The system will have to be disrupted from below. Diagnosis – Most GP’s refer complex cases of all kinds up the line as it is. They are in reality traffic directors. They can treat only very minor problems. Most of the time they simply write a prescription. They are so time pressed that they cannot help with prevention. They are not paid for that anyway. The real issue for most of their patients is that they have a chronic disease such as heart disease or type 2 diabetes. All of these diseases are based on lifestyle. Not the Dr’s forte. Drugs are the proxy for health. CC is suggesting that we see high end diagnosis as a field in itself. This does not have to be based in one hospital. Just as a hospital or a Dr’s office has low skills and high overheads – Specialty Clinics have high skills and low overheads. 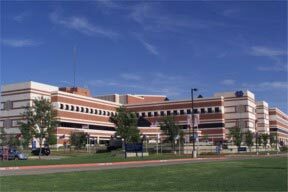 In Canada we have a start here in specialty clinics such as the Shouldice Clinic – If you have a hernia you would be silly to go anywhere else. This is what CC means as fee for outcome and this type of clinic can generate such process expertise as to all but guarantee a good result. The Shouldice is the specialty retailer that replaced the department store. Changing all this above is hard work as it involves changes to the system as it is. What interests me the most is the largest group at the bottom where groups of people with say Type 2 Diabetes can get together an help each other. The new frontier for health that can grow up in spite of the system is “Community Health”. Where you and I take charge of our health and use simple and powerful tools and each other to stay healthy, get healthy and help each other at rock bottoms costs. In using diagnostic and measurement tools – as with all other tools more and more diagnostic tools that used to ve expensive and hard to use are available at prices and levels of complexity that you and I can use. In learning more about their condition – as with the publication of the bible in the 16th century, information that was restricted only to Dr’s is widely available to all of us now. Many know more about their condition that their GP who has to be so broad. In learning about diet – we are learning that diet is at the heart of most of the diseases of medern life. Dr’s know nothing abut this. Changing our diet is often beyond our power alone. We need the help of our peers. In helping each other makes the hard lifestyle changes they need to take back control. No expert can help here – only peers. Here the skilled part is in Facilitation. This is where 85% of the system will reside. Here is I think where the power of social media combined with what we are learning about the true causes of most modern disease offers us so much. We could all get more healthy at a fraction of the cost of the current system – cost to us as individuals and as societies. This is the revolution that is ahead.